We are proud to announce the arrival of our quadruplets! We finalized the adoption today and got the cute little fluffy butts settled in their new little home, a Guitar Hero World Tour box. What can we say, they are some rockin’ chicks! 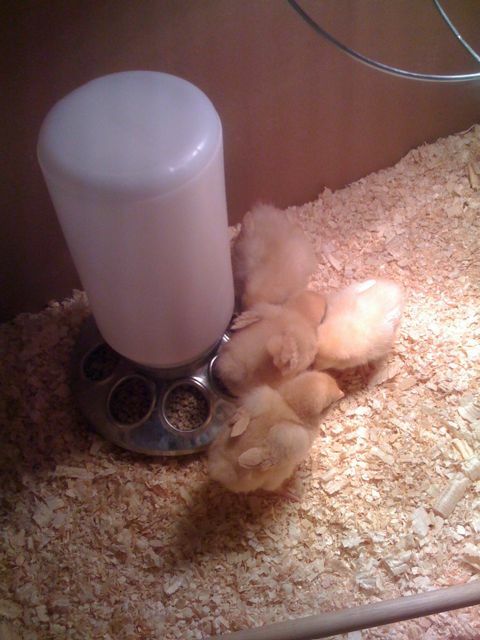 They are four days old and will be growing fast, so stay tuned for updates to the Bancroft Backyard Chicken adventure. They look great! And are they still thriving? Even after my darling redhead got ahold of one??? We are so proud. Has gabe squeezed the eyeballs out of one yet?